Tonight’s full lineup in the Scottish Premiership could see further changes in the league pecking order. The top six clubs are slugging it out right now with Hearts still sitting comfortably at the top on 25 points. They host Hibs (6th) at Tynecastle and have played one more game than the Easter Road side. Kilmarnock (2nd) are on 20 points and have also played the same amount of matches as Hearts. A tough visit to Ibrox to face Rangers (5th) awaits them, with the home side currently on 17 points along with Hibs. Celtic (3rd) are just one point behind Kilmarnock, but have a game at hand over first and second place. The Hoops travel to Dundee who are rock bottom with a mere 3 points to their name. This season’s surprise package, Livingston (4th), are at home to St Johnstone (7th) who are on 14 points. The newly promoted Lothian club are in the enviable position of being a point behind Celtic and a point ahead of Rangers. Aberdeen (8th) are way off the pace right now on 12 points and entertain Hamilton (9th) at home who have 7 points. That leaves Motherwell (10th) who are away to St Mirren (11th). Neither club have done much better than Dundee with the clubs on 5 points and 4 points respectively. In terms of an open competition, this is what you want to see in the Scottish game. It isn’t something we see very often and certainly not much of in recent years. You could argue that Celtic’s faltering start allowed Hearts to make off with an early lead. However, when you look at the league table the current top six clubs have been fairly consistent having lost no more than two games a piece. That kind of competition makes for good viewing and entertainment. Scotland’s clubs may still be well off the pace in Europe, but in order to make a better job of it on the continent, you need to make your domestic game more competitive first. I’d like to think that will increase and so far this season I haven’t been disappointed. Long may it continue. So to tonight and the big fixtures that could change the current look of the league. Well Hearts v Hibs has to be the big one. Hibs have not beaten Hearts at Tynecastle since May 2013. In between then they’ve had a fair few draws there so that might be their best hope. Having said that, Hearts are troubled by injuries and perhaps this is a good opportunity for them to take something from the derby. It will be one to watch for sure. Rangers v Kilmarnock will be another one to keep and eye on. Steven Gerrard has not lost at home this season whereas Steve Clarke has only lost one game on the road. Killie did lose at home to Rangers in the League Cup last month. However, they have had their own luck at Ibrox in the last year with one win and one draw. Dundee’s poor form and subsequent sacking of Neil McCann should not present Celtic with too many problems. The Hoops do have injuries, but they should have more than enough available personnel to put this fixture to bed and keep the pressure on Hearts. There has also been the suggestion that we’ll see Daniel Arzani grace us with his presence. The World Cup youngster hasn’t featured since his arrival from Melbourne via Manchester City in the summer. Now we could be set to see him in the Hoops at last. And there will be opportunities for others to come in as well. Olivier Ntcham and Eboue Kouassi both went off injured at the weekend and will be assessed pre-match as to whether either can face Dundee. With Yousouff Mulumbu and Scott Brown also injured, defensive midfield duties would fall to Callum McGregor. However, the possible inclusion of Arzani and impressive display by Ryan Christie against Hearts on Sunday, the Hoops are well equipped going forward. We are also beginning to see a more confident looking Scott Sinclair for about the first time in a year. For a player who took ot the Hoops like a duck to water, he has been a man in desperate need of a kick-start these past twelve months. And already, he looks like he is beginning to put all that behind him and get back to his best. That goes for the Celtic squad as a whole. Even with injuries, Celtic look galvanised again. Europe may not be a happy hunting ground right now, but you cannot argue with our domestic resurgence of late. Long may that continue this evening at Dens Park. Celtic travelled to Edinburgh yesterday to face Hearts in the League Cup Semi Final. After a venue switch from Glasgow, Murrayfield was the agreed location for this tie. Hearts used the rugby stadium whilst Tynecastle was being renovated a year ago. 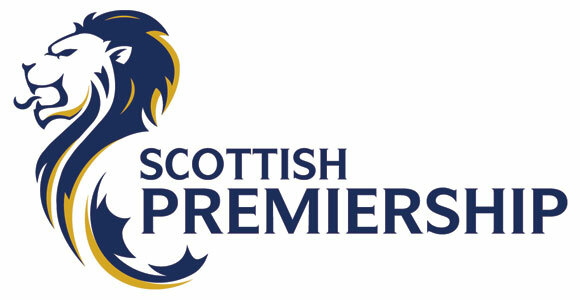 They played four fixtures between September and November last season at the home of Scottish rugby. Celtic themselves played two matches there under Ronny Deila whilst Celtic Park was being utilised for the Commonwealth Games. They competed against KR Reykjavik and Legia Warsaw in 2014 during their Champions League qualifying campaign. So this was familiar turf for some players though not everyone. Brendan Rodgers himself wanted the team to feel the benefit of the stadium beforehand as Hearts were more familiar with it. And let’s face it, Murrayfield isn’t a million miles away for Hearts home ground either. I walked past Tynecastle on my way to Murrayfield four years ago for the Legia Warsaw game. Both teams had injuries to contend with going into this match. Celtic also had a midweek Europa League away defeat to recover from. They welcomed back Tom Rogic, James Forrest and Filip Benkovic with Dedryck Boyata out suspended along with the injured Scott Brown, Leigh Griffiths, Jozo Simunovic, Cristian Gamboa and apparently Youssouff Mulumbu as well. Perhaps the biggest surprise was the inclusion of Kris Ajer. The up-and-coming defender has been out for a month and has also been missed. We all expected to see Jack Hendry alongside Benkovic, but Brendan slotted the Norwegian youngster in along with the Croatian centre half, Kieran Tierney and Mikael Lustig, the latter wearing the captains armband. Celtic lined up otherwise as expected with Oliver Ntcham and Eboue Kouassi the anchors in midfield. Forrest, Rogic and Callum McGregor sat behind Odsonne Edouard in attack. The first half saw a soft yellow card given to Steven MacLean in the 2nd minute, Steven Naismith went off injured in the 8th minute and Kouassi was substitued in the 26th minute. None of that aided the flow of the first 45 minutes which was very scrappy by both teams. With no goals before the interval, something had to give in this semi final. And it didn’t take long either. Before the restart Celtic suffered another injury blow with Nthcam being replaced Ryan Christie. Would Christie seize the moment? Well, whilst we were all worrying about losing our shape, Christie had others ideas. McGregor dropped deep allowing Christie to play further forward and eight minutes into the second half he won a penalty. It looked soft and the decision had everyone split from the studio to the stands. Having said that the Hearts defender never protested and Willie Collum couldn’t have had a better view. As Chris Sutton said, had that been outside the box a free kick would have been awarded without hesitation. The penalty perhaps comes across as being harsh because there was minimal contact, but to be fair that is on the Hearts player. If it’s not a penalty then Collum has to book Christie for diving. Though the only player to do something stupid in the box was Oliver Bozanic. I don’t think Christie made any more of it than any other player would have and he is entitled to do so. I’ve seen worse attempts by Celtic players trying to con the referee and this wasn’t one of them. So up stepped Scott Sinclair, who himself had come off the bench for Kouassi in the first half, to give Celtic the lead. It also provided the Hoops with a springboard for the rest of the match. If the first half was ragged, Celtic were beginning to look sharp in the second. The football was flowing so much better and with that, another goal. Christie, in about matters again, had a shot spilled by Zdenek Zlamal. The ball looked to have crossed the line before it was scooped out by the goalkeeper, but James Forrest pounced quickly to put it in the net on 66 minutes. Celtic were really into their stride now. Not happy with winning a penalty and losing the goal award to his team mate, Christie got a goal he could claim for himself. As the ball ran free 25 yards from the Hearts goal, the midfielder latched onto it and placed an unstoppable shot past Zlamal. This time it was Christie’s and it was a belter. Having signed for Celtic just over three years ago, the midfielder has had limited opportunities under two Celtic managers. He’s played more football on his three loan spells than he has for his parent club. There are many Celtic fans who believe he isn’t good enough for the Hoops. For a player who hasn’t really had a chance that is a bit harsh. He was brilliant at Aberdeen last season. Outwith Celtic, he was one of the best midfielders in Scotland. Christie is one of many young talented players recruited by Celtic in recent years who never really got given a fair chance. Scott Allan is another and like Christie found better opportunities out on loan. The question for Brendan Rodgers now is does he stick by him? If he does he’ll know whether he is worth another contract. His current deal expires next summer along with the likes of Allan, Broony, Boyata, Lustig, Gamboa, Izaguirre and de Vries. Is it too late or has Christie just got himself a golden ticket? We’ll see. One thing’s for sure, he was yesterday’s star man and I’m over the moon for him. What was even more impressive were the circumstances. European hangover and injuries before and during this match meant the gauntlet had been well and truly thrown down. The Bhoys responded. None more Ryan Christie. Now a place in the final is secure. We will be joined by Aberdeen who disposed of Steven Gerrard’s Rangers side at Hampden. The treble remains on the table. Well done Bhoys and well done Ryan Christie. Thursday delivered another European blow to Celtic’s current campaign. The club have failed to establish a foothold in Europe under Brendan Rodgers. Whilst winning the Champions League is fairytale stuff, the Europa League is not totally unrealistic. That doesn’t mean it is easier, but it can be achieved by more prudently run clubs compared to the millionaires playground that the Champions League is designed for. Money isn’t really the big issue for Celtic. It is themselves. Yes there are some opponents that are just too financlially superior to overcome. Celtic have been smashed to a pulp by some of these teams like Barcelona and PSG in the last couple of years into the bargain. That kind of hammering is hard to recover from. I can still feel every one of those goals in my soul. Whilst the summer was not particularly great for Celtic, we have been playing better recently on home soil. Sadly, we haven’t been able to replicate that in the two Europa League games in Austria and Germany and even made heavy weather of the win at home to Rosenborg. 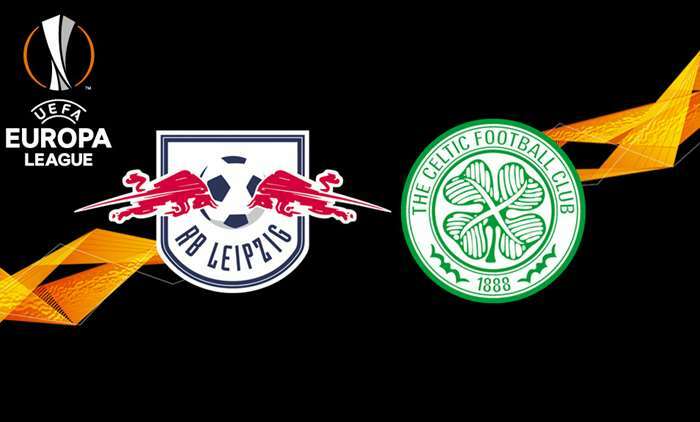 When Celtic entertain Salzburg and Leipzig at Celtic Park, they will have to put on a much better show of conviction, discipline and organisation. Because it has been largely self-inflicted errors that have been the cause of their disappointment in Europe. This isn’t new of course. We’ve seen this before under other Celtic managers as well. Losing goals early in European ties or conceding late on when we are winning or drawing. Do we have the correct personnel to do better? Yes and no. We have a good squad without any real superstars. There are some weak areas that need strengthening badly. Some players are on their last legs as well. Brendan is culpable as well. Sometimes he has got it right and other times not so much. The club take a prudent approach in the transfer market. This much we know and understand. Splurging £9M on one striker was big business, but the whole team needed a bit of a facelift in general. Between January and June we will lose about half a dozen players. Some of these players will need to be replaced. Others are just natural churn. How do Celtic move forward though? This middle year of Brendan’s five year contract looks almost transitional. If we are taking Europe seriously, we need better personnel, improved focus and better tactics. None of this is out with our reach. Indeed it is imperative. We might not be able to win a European trophy, but we should be making a better attempt at being involved. Tomorrow it is back to domestic duty. Celtic travel to Edinburgh to face Hearts in the League Cup Semi Final. Celtic are odds on to win inn the neutral ground of Murrayfield. In light of results against Hearts over the last year, I don’t think this is a foregone conclusion. In the Scottish Premiership Hearts sit at the top a comfortable six points ahead of Celtic and Kilmarnock. For many, this has been a surprise start by Craig Levein’s side, but they are there on merit. They’ve lost just one game in ten played so far this season. Only Livingston can match that statistic. Having said that, Celtic have been on a steady climb again. Europe has not been fruitful, but domestic form is taking shape again. With several players missing from the away game to Leipzig, some will return to face Hearts. The impression most of us got from Tom Rogic and Filip Benkovic’s omissions on Thursday were that the League Cup tie was the priority fro Brendan Rodgers. James Forrest was suspended whilst Kristoffer Ajer, Scott Brown and Leigh Griffiths were injured. With Dedryck Boyata suspended for the Hearts game and those three injured players still out, wrapping Rogic and Benkovic up on cotton wool was perhaps something that was risk assessed with the likelihood of a defeat in Germany. So from that point of view I get it. Even if Rogic and Benkovic had played, we were still not at full strength. For now we must limp on without our captain, key striker and up-and-coming central defender. We’ll be looking to those players bang on form to get a result at Murrayfield. Rogic, Ntcham, Forrest and Edouard are all playing well right now. This is a team game though and we need to see more from the rest of the squad. Scott Sinclair got a goal recently and with any luck will have spurred him on to rediscover that first season form. Lewis Morgan is pushing for more game time as is Ryan Christie. With our captain absent for a while, Eboue Kouassi and Youssouff Mulumbu will need to fill the defensive midfield role. Callum McGregor can also play in there, but he has so much more to offer as we have seen over the previous four seasons at the club. Defensively, Celtic have to steady the ship. It remains a major area of concern and one that Brendan has yet to resolve in over two years. With Benkovic only here on loan, Boyata almost certain to leave in January or June, Simunovic an injury nightmare and Lustig, Gamboa and Izaguirre’s current deals ending next summer,it is hard to fathom what Celtic’s future defence is going to look like. Ralston, Tierney, Ajer and Hendry are the only defenders with any hope of a future at the club albeit with a distinct lack of collective experience. And let’s be brutally honest. Whilst Craig Gordon is far and away our best goalkeeper, he is not getting any younger. We’ve seen a lot of players leave in the last couple of years. There isn’t much profit left in this side and we can’t keep selling everyone. Celtic need to start reinvesting and soon. Otherwise we will become a team in decline if we aren’t already. Celtic welcome Hibs to Celtic Park on Saturday in a 3pm kick off as the domestic campaign resumes. It will be the first time the teams have met this season and both will fancy a victory. 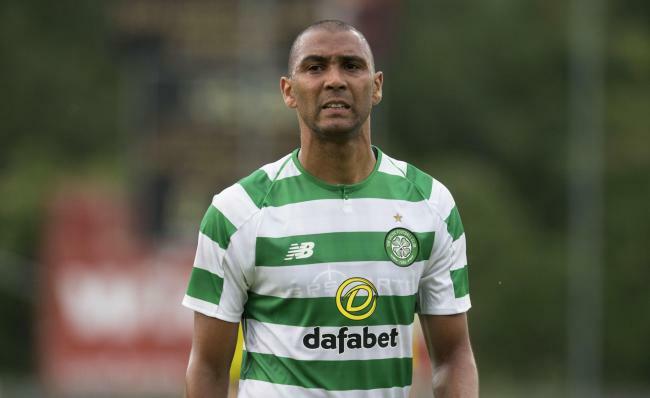 Despite Celtic’s slow and sluggish start to the season, they appeared to be getting into their stride just as the international break approached. Hibs have been in good form since the season kicked off, but they are only one point ahead of Celtic right now. With Hearts still topping the table, and at home to Aberdeen who are languishing in 7th place, they have a chance to increase their lead. However, if results went against both Edinburgh clubs, Celtic could claim top spot on goal difference. Kilmarnock are also in this fight and on the same points as Celtic. They are away to St Mirren and will be motivated against the Paisley club who have so far managed just one win and one draw from eight games. A point below the Ayrshire club are Livingston who are at home to Dundee. The Lothian club have also started off brightly and a victory over the bottom side, who just sacked manager Neil McCann, would keep them in with the top half of the league. On Sunday, Rangers are away to Hamilton and will be battling to stay with that group as well. Steven Gerrard’s side are sixth in the league, but only five points off the top spot over all. If things go their way, they will remain ahead of Aberdeen regardless of the result at Tynecastle. So far, the season has not been dull nor does it look like changing anytime soon. You could argue that Celtic’s stuttering start has contributed to the competitive nature. In fairness to the other clubs though they are where they are right now on merit. As much as it pains me to say it, Hearts have set the pace. Hibs are the highest scorers in the league so far with Rangers a close second. Three clubs (Hearts, Hibs and Livi) have lost just one of the eight games played and four clubs (Celtic, Kilmarnock, Rangers and Aberdeen) have lost just two games. Celtic have the meanest defence with only four goals conceded but they have the third highest goal difference behind Hibs and Rangers. After this weekend it could all look very different though. Those clubs who had a lot of players on international duty will be assessing fitness before selecting their matchday squads. For most Scottish clubs the majority of their players will have been taking a break. Ten players from clubs outside of the country made up this Scotland squad whilst the other fifteen play in Scotland’s top flight. Celtic were the biggest contributor to the national squad with seven players. Aberdeen provided four, with Hearts providing two and the remaining two home based players coming from Kilmarnock and Rangers. Not everyone got game time or had a positive experience. It was far from a happy camp. With internationals behind us – until November – we can focus on the league again. Other first team players will be returning from international duty be it at senior team or under age level. Tom Rogic, Daniel Arzani, Mikael Lustig, Emilio Izaguirre, Cristian Gamboa, Dedryck Boyata are amongst the other players who were away on international duty. Filip Benkovic, Lewis Morgan and Olivier Ntcham turned out for their respective under-21 national sides. So very few of Celtic’s team actually got a rest. Weary from their travels or not, the focus turns to Hibs. This could be a great game. 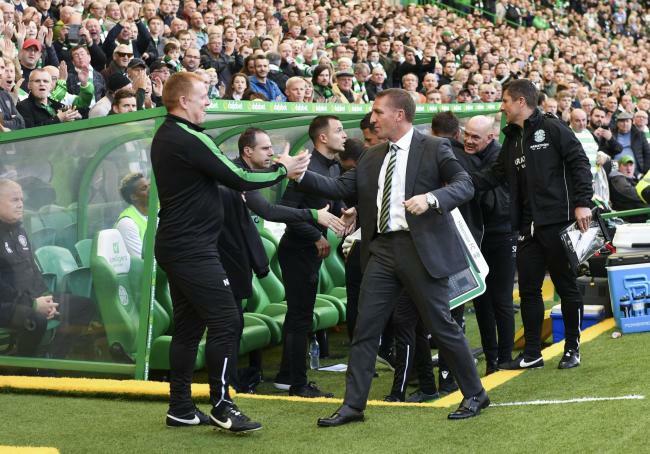 There haven’t been too many dull encounters between Rodgers and Lennon. There could be opportunities for players not away on international duty to get a starting place. However, Brendan will not want to experiment too much against a form side such as Hibs. 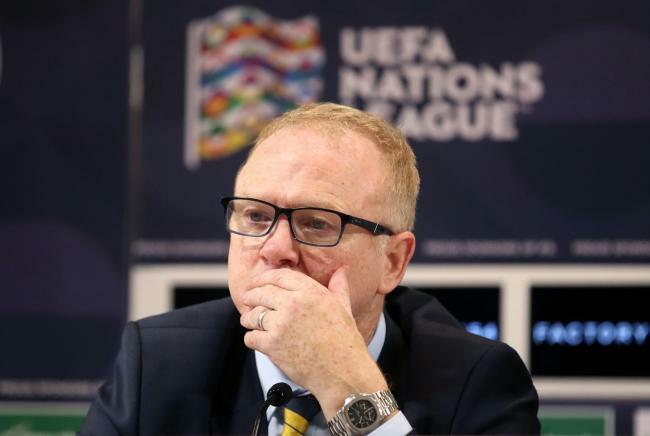 Alex McLeish will not survive the Nations League campaign. The tax cheat and has-been manager is currently faltering in his second spell as Scotland manager. Poor team selections and tactics has meant poor results. And it’s never a good sign when some of the best players available to you are walking away for one reason or another. Player extractions are not uncommon on the international scene. However, the manner and frequency tend to stand for more in that environment. I’ve made myself clear that although I am a Scotland supporter that I would not follow the national side under McLeish’s reign. I’d follow Malky Mackay before him and he’s not the exactly football’s best role model either. In fact you have to wonder about the type of characters that are on the SFA’s agenda these days. Following Gordon Strachan’s departure, the governing body struggled to appoint a candidate. Michael O’Neill turned down the job. Though he’d have been off his head to take it anyway. Even though Mackay, already Performance Director at the SFA, took up the reigns temporarily, he was not given the role on a permanent basis. Nothing to suggest he wouldn’t step in again if McLeish were to leave abruptly. And when might that be do we think? Well, I certainly don’t think McLeish has the kind of support he had when he was still a credible manager. His career has taken a nosedive since his days at Birmingham City. Ironically, the job he chose over remaining Scotland manager first time around. It was that departure that left a bad taste in the mouth of many, myself included. He had done a good job in his ten games in charge of Scotland back then having won seven and lost three. Many felt he was still the man to lead Scotland on their next qualifying campaign. Though he chose the bright lights of the Premier League instead. Almost a decade later his return to Hampden filled me with anger. Not just because he jumped ship so quickly first time around, but coming back when his stock is even lower. The fact that both he and members of the SFA were complicit in the whole EBT fiasco, rile me further. So it pleases me to see him falter as Scotland manager this time around because he’ll be out on his ear with any luck. Whatever skills he had before, have deserted him now. His reputation is not the standard required to manage Scotland’s best and brightest players of which there are a decent number these days. McLeish has failed to demonstrate in the eight games he has managed thus far that he is still capable. He’s won just two of those, having lost the other six. If still in post, he will oversee Scotland’s two final Group C1 games away to Albania and home to Israel next month. Depending on how that turns out may determine whether he stays on or the SFA look for another candidate before the next challenge comes up for Scotland. I honestly don’t think he has the stomach to see it out. Though he does have that huge tax bill hanging over him. I doubt the Scotland salary would cover it though. I doubt it’d even cover half of it. Does that mean he’ll stick around for a bit longer then? I can’t see it being f he keeps going like this and it may not be up to him either. I fully expect someone else by 2019. Right now the options are limited, at least in terms of leadership. There are some excellent Scottish coaches. Just not enough figureheads to unite the team and lead. The Scotland manager would most likely need to be Scottish. It isn’t the sort of job many non-Scots would rush to. A suitable manager would have to galvanise the squad for the short period of time they spend together. As a player you would have to want to play for that manager and be motivated by them. In the current football climate, who would your ideal coaching team consist of? Home grown, foreign or a mix of both? I wouldn’t wish any person to lose their job. With McLeish I’m willing to make an allowance.